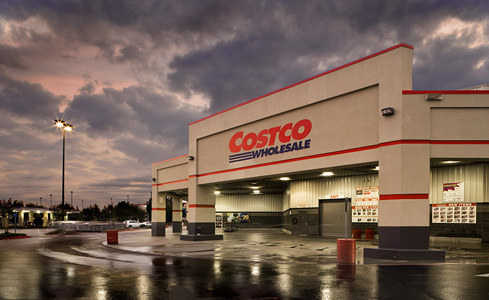 No Muss, No Fuss… When It Comes to Returns, Costco Gets It! As much as I enjoy shopping at Costco, some of their customer service issues really drive me crazy! Whether it’s the frustration of not being able to find assistance while in the warehouse, or how customers have to wait in long lines just to purchase one or two items, I still feel that they have lots of ways to improve their experience. But today I’m going to tell you about the one thing that Costco gets right, and masters, time and time again. As an expert in the customer service industry, I’m extremely impressed with Costco’s ability and willingness to deal with returns. Costco provides members with a no muss no fuss warranty policy, as I learned, last year, after purchasing a car battery at their Downsview location. Much to my surprise, the battery died after only six months, and despite not being able to find the receipt, I decided to take the battery back to Costco to see what they could do. The associate immediately looked up my receipt via my membership card and exchanged the battery for a new one….no questions asked. Six months later I had the same issue and I took the replacement battery back to the store, expecting an argument, if not at least some suspicious stares, but once again, the employee made the exchange quickly, efficiently, and without asking any questions. In more recent times, I decided to put Costco to the test after I bought a package of three rib eye steaks for about $40.00 (boy, meat and steak prices have really increased over the last few years!). When we ate the steaks, my wife and daughter complained they were tough and really fatty, and I completely agreed. That evening I called Costco and told them about our negative experience. The lady on the phone was very apologetic and disappointed to hear what had happened, and with no hesitation, whatsoever, she told me to return to Costco with the receipt and they would give me a full refund on the steaks. I was so surprised by her gesture, I clarified that I couldn’t give the steaks back as they were already consumed and the lady said, “Don’t worry about it! We want you to be happy and satisfied with the product”. While I begrudgingly accept some of the customer service issues associated with a warehouse operation, clearly Costco is a company that stands behind their products, and to me that’s almost as important as great customer service. I know that Costco isn’t for everyone but you may want to consider them for certain shopping needs.